At times you will feel like you are in your own home in the 274 Classic rooms measuring 39.56 m² and featuring lovely views of the gardens. Some of them are in bungalows/cabins. Ideal for families. 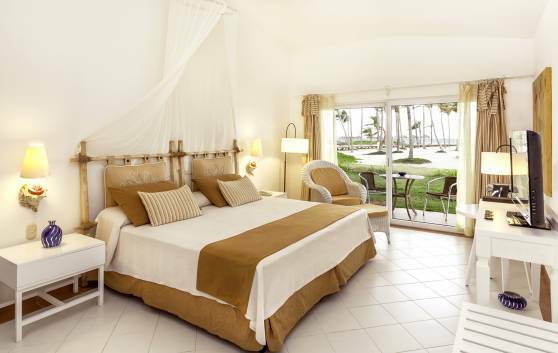 In complete harmony with nature, 50 classic rooms with sea views. 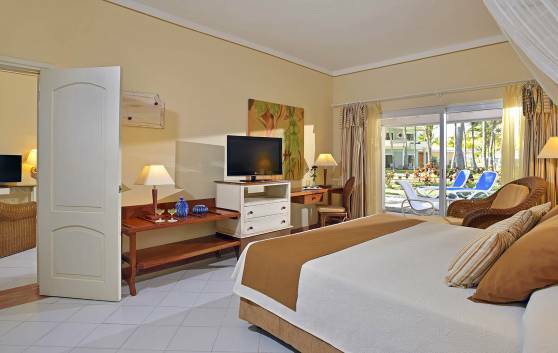 With an area of 40m2, these rooms boast all the comforts and facilities you need for a wonderful stay. The 30 bungalows/cabins, each measuring 39.56 m², with views of the garden, are extraordinarily comfortable, beautiful and functional. Fishing and diving are optional. Ideal for unique stays for families or couples. 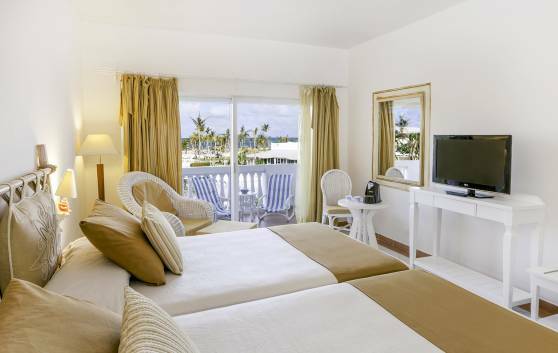 These 8 Junior Suites measuring 80 m² are in total harmony with the environment. Five of them are bungalows/cabins with views of the gardens while also providing privacy, beauty and comfort. Ideal for families and couples. 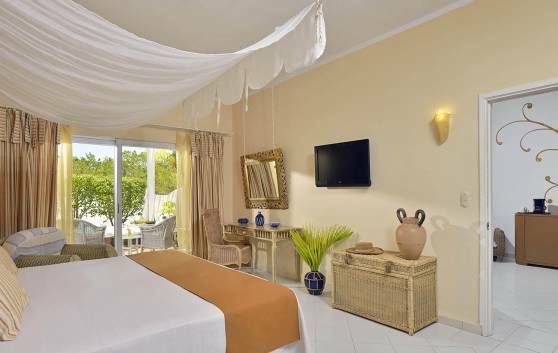 The Romance Junior Suites, measuring 80 m², are located in the cabin bungalows with beautiful views of the garden. 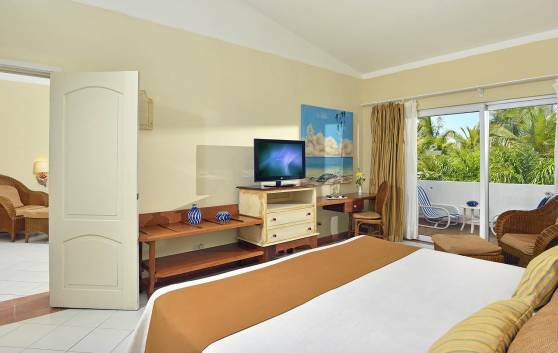 Quiet rooms, ideal for a romantic getaway for couples or for a wonderful honeymoon. These two Grand Suite (90 m²) are simply spectacular! 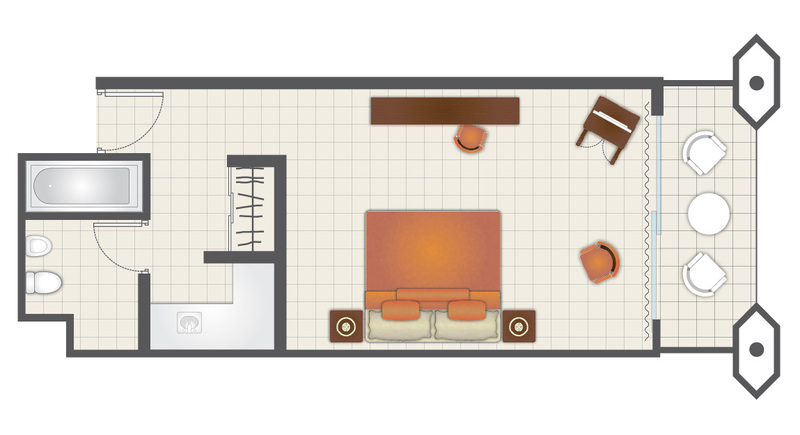 Located in bungalows/cabins with garden view, terrace provided with Jacuzzi, hammock and sunloungers. Ideal for families and couples.